Full of incredible characters, amazing athletic achievements, cutting-edge science, and, most of all, pure inspiration, Born to Run is an epic adventure that began with one simple question: Why does my foot hurt? In search of an answer, Christopher McDougall sets off to find a tribe of the world's greatest distance runners and learn their secrets, and in the process shows us that everything we thought we knew about running is wrong. Isolated by the most savage terrain in North America, the reclusive Tarahumara Indians of Mexico's deadly Copper Canyons are custodians of a lost art. For centuries they have practiced techniques that allow them to run hundreds of miles without rest and chase down anything from a deer to an Olympic marathoner while enjoying every mile of it. Their superhuman talent is matched by uncanny health and serenity, leaving the Tarahumara immune to the diseases and strife that plague modern existence. With the help of Caballo Blanco, a mysterious loner who lives among the tribe, the author was able not only to uncover the secrets of the Tarahumara but also to find his own inner ultra-athlete, as he trained for the challenge of a lifetime: a fifty-mile race through the heart of Tarahumara country pitting the tribe against an odd band of Americans, including a star ultramarathoner, a beautiful young surfer, and a barefoot wonder. With a sharp wit and wild exuberance, McDougall takes us from the high-tech science labs at Harvard to the sun-baked valleys and freezing peaks across North America, where ever-growing numbers of ultrarunners are pushing their bodies to the limit, and, finally, to the climactic race in the Copper Canyons. Born to Run is that rare book that will not only engage your mind but inspire your body when you realize that the secret to happiness is right at your feet, and that you, indeed all of us, were born to run. "Hugely entertaining. . . . One of the most joyful and engaging books about running to appear for many years. "- The Irish Times. "Equal parts quest, physiology treatise, and running history. . . . [McDougall] seeks to learn the secrets of the Tarahumara the old-fashioned way: He tracks them down. . . . The climactic race reads like a sprint. . . . It simply makes you want to run. "-Outside Magazine "Hugely entertaining. . . . One of the most joyful and engaging books about running to appear for many years." -- The Irish Times. 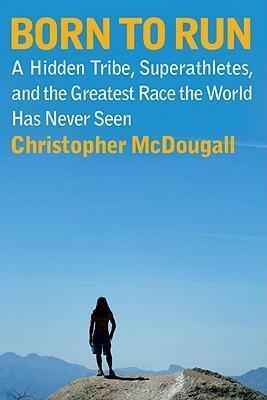 Christopher McDougall is the author of Born to Run: A Hidden Tribe, Super Athletes, and the Greatest Race the World Has Never Seen. He began his career as an overseas correspondent for the Associated Press, covering wars in Rwanda and Angola. He now lives and writes (and runs, swims, climbs, and bear-crawls) among the Amish farms around his home in rural Pennsylvania. Christopher McDougall is available for select readings and lectures. To inquire about a possible appearance, please contact Random House Speakers Bureau at rhspeakers@randomhouse.com or visit www.rhspeakers.com.